DOST- PAGASA on Sunday, 5:00 PM issued severe weather bulletin or Tropical Cyclone Warning for 'Bagyong Gorio'. Tropical Storm “GORIO” has gained strength while moving northwestward over the West Philippine Sea. 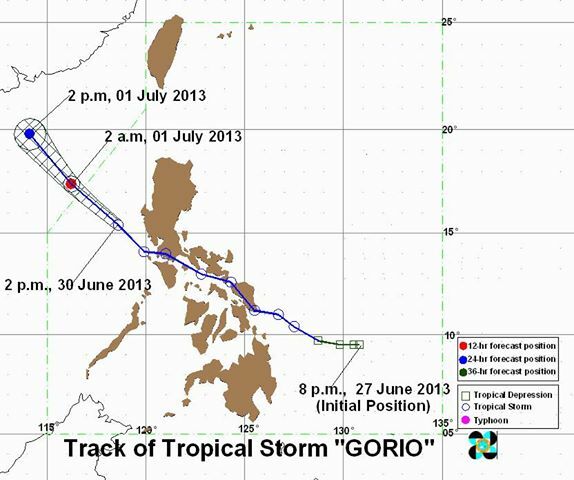 Storm “GORIO” was estimated based on all available data at 230 km West of Dagupan City (15.8°N, 118.0°E). 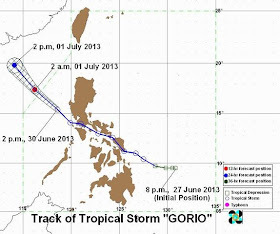 Gorio has a maximum sustained winds of 75 kph near the center and gustiness of up to 90 kph. Storm is moving Northwest at 26 kph. Tropical Storm “GORIO” is expected to be at 430 km Southwest of Laoag City by early tomorrow morning and out of the Philippine Area of Responsibity (PAR) and at 610 km Northwest of Laoag City tomorrow afternoon. Metro Manila and nearby areas can expect the weather to improve by then, state weather forecasters said Sunday. Public Storm Warning Signal No.1 (Winds of 45-60 kph is expected in at least 36 hrs) in Pangasinan and Zambales. 1. Public Storm Warning Signals elsewhere are now lowered. 2. Residents in low lying and mountainous areas under signal #1 are alerted against possible flashfloods and landslides. Likewise, those living in coastal areas are alerted against big waves. 3. Estimated rainfall amount is from 5 – 17 mm per hour (moderate - heavy) within the 400 km diameter of the Tropical Storm. 4. Fishermen specially those using small seacrafts are advised not to venture out into the Western Seaboards of Luzon due to big waves generated by Tropical Storm “GORIO”. 5. The public and the disaster coordinating councils concerned are advised to take appropriate actions and watch for the next bulletin. FHM announced today, June 27, 2013 the conclusion of online, text and print ballot voting for FHM 100 Sexiest Women in the World 2013. Marian Rivera was hailed the Philippines' Finest this year. Marian Rivera is the fourth woman to grab two-time title. She is the second FHM Babe to reclaim the coveted title five years after she first won it (the first was Angel Locsin, who bagged it in '05 and '10). Marian went to a neck-to-neck battle with the two-time winner Sam Pinto. In the final week of voting, Marian overtakes and rakes in a total of 890,490 votes, against Sam's 778,681. "Ang saya lang. Hindi ko ini-expect. Yun yung masarap—yung hindi mo ini-expect na mananalo ka tapos ibibigay sayo. Mas masarap kunin ang isang award na wala kang inaasahan. ", Marian said. 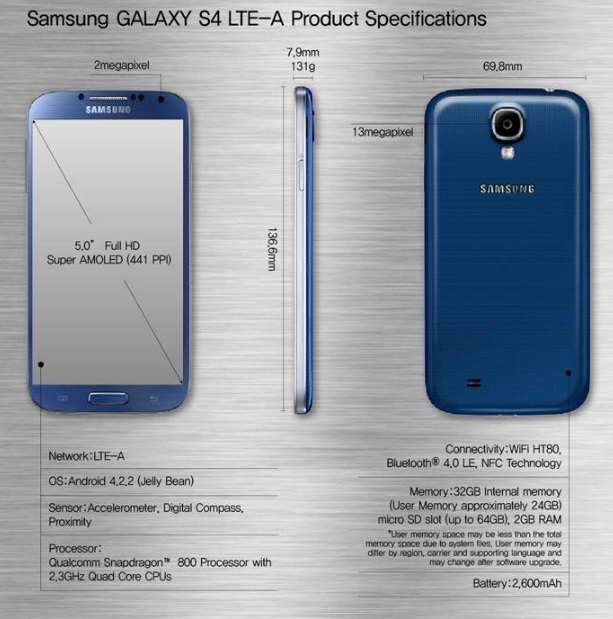 Samsung Electronics today announced another milestone for pioneering LTE-Advanced (LTE-A) technology on its latest flagship smartphone, Samsung Galaxy S4. The world's first LTE-A Galaxy S4 is now commercially available and boasts special features and twice-as-fast network speed to produce an unparalleled multimedia experience. Samsung now leads on the LTE technology for producing the first LTE Advanced-capable smartphone. Samsung’s commitment to driving LTE adoption achieved its first milestone in 2010 with the launch of the Craft, the world’s first LTE feature phone, and continued in 2011 with the delivery of the Indulge, the world’s first LTE smartphone. In the last year, Samsung has also pioneered efforts to bring VoLTE network capabilities to users with the launch of the GALAXY S III LTE. 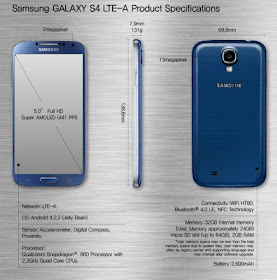 For the user side perspective, the Samsung Galaxy S4 LTE-A is expected to deliver faster speed compared to other LTE-enable devices. With this groundbreaking technology, users can enjoy uninterrupted high-resolution streaming of their favorite shows and stronger, faster speeds when playing games, browsing the internet, and downloading files and applications. The 5-inch Super-AMOLED Samsung Galaxy S4 LTE-A is powered by a 2.3GHz quad core processor and a long-lasting 2,600mAh battery. It runs on Jelly Bean Android operating system. It features a high resolution Digital Media Broadcasting (DMB) service with the aim to deliver unparalleled clarity and viewing experiences for on-the-go consumption of live television programs or sporting events. Noted that DMB is available only on for the Korean version. 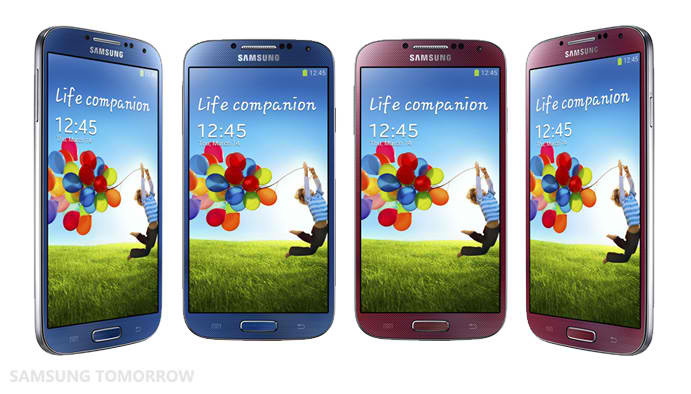 Samsung said that the new smartphone is equipped by the same features of Galaxy S4. The new innovation of the Korean giant will definitely trigger other smartphone manufacturers to produce the same and adopt LTE-A technology. But take note that the telco partner/s should be able to match the speed requirements. In reality, it's not only the phone that limit the speed but also the serving network of LTE. LTE Advanced is essentially an enhancement to LTE. It is not a new technology, but rather an improvement on the existing LTE network. This upgrade path makes it more cost effective for vendors to offer LTE and then upgrade to LTE Advanced which is similar to the upgrade from WCDMA to HSPA. LTE and LTE Advanced will also make use of additional spectrums and multiplexing to allow it to achieve higher data speeds. Theoretically, LTE Advance data speed is around 1Gbps for peak download and 500Mbps peak download. Again, it seems that Samsung is so advance with majority of the carriers of LTE worldwide are not yet ready to support this blazing speed. TheSummitExpress believes that only those carriers with high capacity and willing to upgrade their LTE network will partner with Samsung for the LTE-A smartphone offering. Samsung has no announcement yet for the pricing and international release date. If ever Globe or Smart is willing to adopt with the latest update on LTE, we will update this page immediately for the price and availability in the Philippines. More technology stories coming up. Like Us on Facebook or Follow Us on our Twitter to receive only the worth-it news online. Takers of June 2013 Pharmacists board exam may find here full results as PRC and Board of Pharmacy release list of passers, topnotchers (top 10) and performance of schools in 4 days after the last day of exam. Pharmacists board examination was held in the cities of Manila, Baguio, Cebu and Davao. The Professional Regulation Commission (PRC) announces that 1,385 out of 2,349 passed the Pharmacist Licensure Examination. In January 2012 exam, results released in one working day after the last day of exam. PRC named 576 out of 1,109 new pharmacists. Meanwhile, results of July 2012 pharmacists board exam is released in about 5 working days (1,117 out of 1,770 new pharmacists). In January 2013 exam, PRC announced results in just 2 working days. UP-Manila graduate topped the board exam for January 2013 with 91.62% average grade. Manila, Philippines - The Department of Education (DepEd) on Monday, June 24, 2013 announces that registration for ALS A&E - Alternative Learning System Accreditation and Equivalency exam is open from July 4 - August 2 for the exams to be administered in October 2013. ALS A&E will be conducted in 17 regions nationwide by the Bureau of Alternative Learning System (BALS). It is a paper and pencil test (PPT) which used to be known as the non-formal education test. “It is designed to measure the competencies of those who have neither attended nor finished elementary or secondary education in the formal school system,” explained Luistro. Passers of the A&E are given a certificate or diploma, signed by the DepEd secretary, certifying the passers’ competency as comparable to the graduates of the formal school system. The A&E for takers in Regions 9, 10, 11, 12, CARAGA and ARMM is on October 6, 2013. For takers in Regions 5, 6, 7 and 8, the date is October 13. Regions 1, 2,3 and Cordillera Administrative Region A&E takers is set on October 20 while it is October 27 for the National Capital Region, CALABARZON (Region 4-A) and MIMAROPA (Region 4-B). The A&E registration, administration, and certification are provided free by DepEd. valid driver’s license, valid passport, voter’s ID, SSS/GSIS ID, postal ID or NBI clearance. the lower portion of the registration form to serve as a test permit on the testing day. What to bring on exam day? Bring the following items during your exam: lower portion of registration form as test permit, Mongol pencil #2 and valid ID. Follow Us on our social media channels - Facebook and Twitter to receive updates about ALS A&E test. We will also update this site for the exam results. Bookmark this page now or subscribe to our e-mail list. Manila, Philippines- The Department of Education (DepEd) reminded the public that the decision to suspend classes when there are no storm signals falls under the various local government units (LGU). “The government recognizes the need to streamline the procedure in suspending classes,” says Education Secretary Br Armin Luistro FSC, adding that those “on the ground” will have a better assessment of the local situation. In June 13, classes in the University Belt Manila has been suspended due to heavy rains that caused knee-deep flooding. Situation wass triggered only by the enhanced southwest monsoon (Habagat). Last week, typhoon Emong entered PAR and brought heavy rains and thunderstorms over Southern Luzon, Visayas and Mindanao. 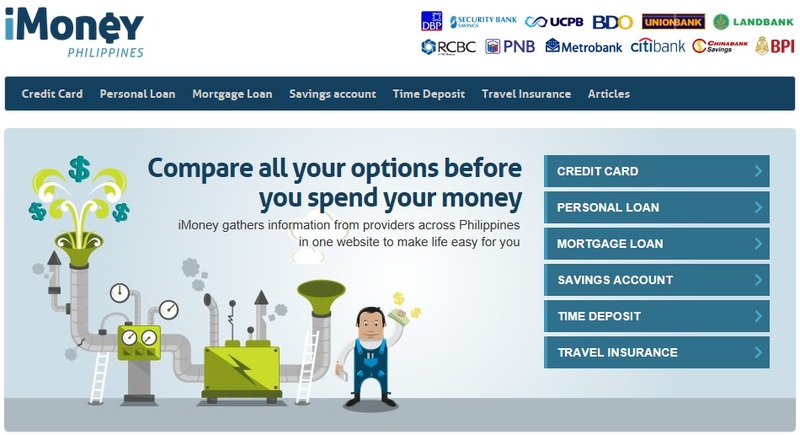 One of South East Asia’s fastest-growing financial comparison websites, iMoney, has officially arrived in the Philippines with the launch of Philippines’ version of its FREE consumer financial portal. countries already in the pipeline. financial products can be collectively accessed instantaneously over the Internet,” Ching added. to the public, is currently one of the fastest growing financial portals in South East Asia. every month. The site boasts a monthly visitor growth rate of 30%. available in both Filipino and English. http://www.imoney.ph/ or direct any enquiries to: hello@imoney.ph. Instagram on Friday, June 21, 2013 announced the incorporation of video - sharing in addition to their popular photo-sharing service. New version of the app is now available for download in Android and Apple App Store. The Facebook- owned company gave details for the list of devices compatible with the new Instagram and ways to fix some issues. "Today, we’re thrilled to introduce Video on Instagram and bring you another way to share your stories. 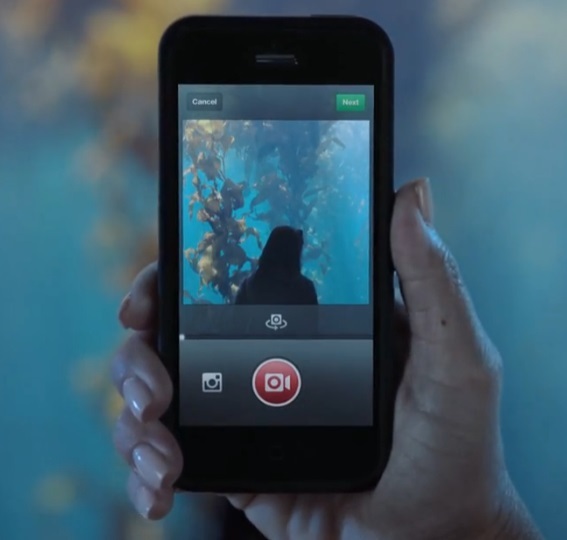 When you go to take a photo on Instagram, you’ll now see a movie camera icon. Tap it to enter video mode, where you can take up to fifteen seconds of video through the Instagram camera. ", Kevin Systrom, co-founder of Instagram said. In the new app, users have the option to customize video content using 13 filters built specifically for video. "When you post a video, you’ll also be able to select your favorite scene from what you’ve recorded as your cover image so your videos are beautiful even when they’re not playing. ", Systrom added. When Instagram announced yesterday the inclusion of video-sharing on their services, the Twitter-verse react that it is a copy-cat of Vine, a mobile app acquired by Twitter that enables it users to create and post video clips. Video clips created with Vine have a maximum length of 6 seconds compared to 15 seconds longer for Instagram Video. Same with Vine, Instagram Video is only available for iOS and Android devices. More than 30 million users of the photo-and-video-sharing network may now download Instagram for iOS version 4.0 in Apple App Store and Instagram for Android version 4.0 which is now also available on Google Play. If your device isn't supported for video recording, you may still be able to view videos that other people share. Some users who already downloaded the latest version of Instagram app experienced difficulty on loading videos with some videos not working properly. Since the updated version features videos and photos in one stream of which can be equated to long load times. To fix this issue, Insta-experts have suggested that maybe that auto-play functionality is part of the problem. To turn it off, just head to your profile (the icon on the bottom right of every screen), then click the little settings clicky-wheel at the top right, which will bring up the screen pictured at right, which is all the way at the bottom. Some people are also getting a processing error when sharing video from their iPhone. To fix the issue, download the latest version of the app and try uploading a new video. If you've downloaded the latest app and are still having an issue, try to contact Instagram. Learn more from Instagram Help Center. CSC COMEX replaces CSE-CAT | How to Apply? Manila, Philippines - The Civil Service Commission (CSC) announces the suspension of the conduct of Career Service Examination Computer Assisted Test (CSE-CAT). It will be replaced by the CSC Computerized Examination (CSC COMEX) System which is currently under development. Starting February 2013, the commission already suspended the conduct of CSE-CAT. CSC said that the conduct of test through the COMEX System will be announced later through the CSC website and other media. Aside from CSE-CAT, interested applicants of Career Service Exam may also apply for Paper and Pencil Test (CSE-PPT) that is scheduled on October 13, 2013. Applications are still accepted at any CSC Regional or Field Offices until August 30, 2013. The CSE-CAT is a Civil Service Commission conducted at the Central Office (CSCCO), IBP Road, Batasan Hills, Quezon City, and in selected CSC Regional Offices (CSCRO) such as CSC-CAR, Baguio City. With the CSC COMEX System, it is expected that results will also be released within two to three hours after the examination same with CSE-CAT. Details on how to apply for CSC COMEX- requirements, process and schedule are available here as announced by the Civil Service Commission (CSC). 3. Examination Slot Confirmation (ESC) - confirmation of application and completion of remaining stages of application: verification of identity, payment of exam fee and capturing applicant's photo, biometrics and digital signature. 4. Actual Test Program (ATP) - assignment of each examinee to a test form and a testing computer, authentication of examinee's biometrics, examinee takes actual test. 1.Q: How do I take the Career Service Examination through the COMEX? A: Before you can actually take the test through the COMEX, you have to undergo three steps, as follows: First, you have to register an account in the COMEX website (https://csc-comex.asti.dost.gov.ph.user/). The system will ask you to supply personal and other pertinent information. You must have an active email account where the confirmation email will be sent for the activation of your COMEX account. Second, you will receive an email notification of examination offerings including the type of examination, number of slots, date and time of personal appearance, date and time of examination, and examination venue. You can choose from any of the available examination and reserve an examination slot. Third, on the day of your personal appearance, you have to present yourself at the CSC Testing Center for the verification of your identity, payment of examination fee, and capturing of your photo, fingerprints, and digital signature. 2.Q: Where can I possibly take the COMEX? A: The COMEX is administered in sixteen (16) Testing Centers across the country. All CSC Regional Offices (CSCROs) and the Central Office serve as Testing Centers. You can take the COMEX in your preferred Testing Center. 3. Q: In a testing center, how many slots are available per examination schedule? A: Twenty (20) slots are available in each Regional Testing Center while fifty (50) slots are available in the Central Office per examination schedule. 4.Q: What is the difference between the Paper-and-Pencil Test (PPT) and the COMEX? Results of the PPT are released within forty-five (45) days while results of the COMEX are released within one (1) hour after the test. 5.Q: Is the examination more difficult in the COMEX than in the PPT? A: No. Test forms used in the PPT and the COMEX are equivalent in terms of level of difficulty. Also, both the PPT and the COMEX contained the same number of test questions and have the same time limit. 6.Q: What are the documentary requirements in the taking the COMEX? A: At least one (1) valid ID and the printed application. The application is created during account registration. Applicants need not submit passport-size ID pictures since photo capture is done electronically on the day of personal appearance. 7.Q: Why can’t I edit my profile? A: A registered user is only allowed to edit his/her profile if he/she does not have a reserved examination slot. In case he/she already had reservations, editing data (Profile Management) is temporarily disabled. However, a user may request editing of data only during slot confirmation or personal appearance. 8.Q: I am a registered user but cannot reserve a slot. What could be the possible reason? A: When an applicant made a slot reservation, the COMEX system checks from the CSC database files if the applicant is qualified to take an examination. If the applicant is not qualified, he/she will receive a notification through email. c.the applicant reserves a slot for an examination he/she has already passed. 9.Q: Is there a cutoff for slot reservation? A: There is no cutoff for reserving a slot. As long as the number of slots in a particular examination schedule and your preferred Testing Center is not yet full, you can still reserve a slot. 10.Q: Can I reserve more than one slot for the same level of examination? b.if you failed the previous examination but the gap between your next schedule is less than three (3) months. For more updates on CSE-PPT and CSC COMEX, Follow Us on our Social media accounts- Facebook and Twitter. We also deliver updates via Mail. Subscribe Now! Manila, Philippines - The Professional Regulation Commission (PRC) and the Board of Social Workers release results of June 18-19, 2013 Social Worker board exam in 2 working days after the last day of licensure exam. PRC named 1,015 out of 1,827 new licensed Social Workers. Licensure exam was administered at the following testing centers: Manila, Baguio, Cagayan de Oro, Cebu, Davao, Iloilo, Legazpi and Zamboanga. The members of the Board for Social Workers who gave examination are Lorna C. Gabad, Chairman; Jesus S. Far and Mary Ofelia L. Endaya, Members. Registration for the issuance of Professional Identification Card (ID) and Certificate of Registration will be on July 2 & 3, 2013. Those who will register are required to bring the following: duly accomplished Oath Form or Panunumpa ng Propesyonal, current Community Tax Certificate (cedula), 1 piece passport sized picture (colored with white background and complete nametag), 2 sets of metered documentary stamps and 1 short brown envelope with name and profession and to pay the Initial Registration Fee of P600 and Annual Registration Fee of P450 for 2013-2016. Board exam consists of the following subjects: Human Behavior and Social Environment, Social Welfare Policies, Programs and Services, Social Work Methods and Field Practice. In the same period last year, the commission released results in two (2) working days after the last day of examination. A total of 893 out of 1,429 (62.49%) passed the Social Worker Licensure Examination. Bicol University -Legazpi and Mindanao State University (MSU)-Marawi City are the top performing schools. A graduate of MSU- Marawi topped the board with 88.10 percent average grade. Follow Us on Twitter or Like Us on Facebook to receive real time updates for Social Worker board exam. We also deliver daily news via Feedburner or E-Mail. Subscribe Now!